Go ahead and get your Breaking Bad jokes out of your system. We'll wait. Once you're done, we recommend installing Amphetamine as soon as you can. This app is a super-tiny download, and it's like giving your macOS machine caffeine pills. Once activated, your system will stop going to sleep. "But wait," you ask. "Why don't I want my MacBook to go to sleep? That saves battery life." Yes! Absolutely. A sleepy Mac is normally a great thing to have. You should do everything you can to ensure your system isn't needlessly consuming resources when it's doing nothing for hours. If you're running on battery power, you absolutely want to make sure your system is using as little energy as possible whenever you aren't sitting in front of it, typing away. That said, there are plenty of times when you don't want your system to go to sleep — especially if you have your screen saver or "turn display off" settings set super-low. For example, suppose you drag your laptop to a meeting. It's going to be annoying to have to authenticate into your system every time you want to check your notes if your "require password" settings are strict for a sleeping MacBook. Even if they aren't, dealing with the constant on-off, on-off of a sleeping screen might also get annoying. That, or suppose you want to keep your company's Slack open while you're sitting at lunch so you can watch a scroll of everything that's happening while you dine. 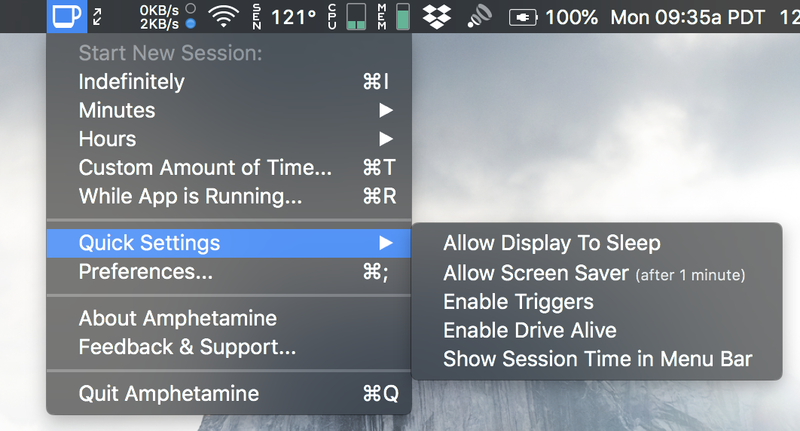 With Amphetamine, you just have to tap on a single icon on your macOS Menu Bar to keep your system awake forevermore. You can also set up the app so that clicking on its icon — I like the full/empty coffee cup — only triggers Amphetamine's powers for a set duration. If you tend to have meetings that last an hour (or less), Amphetamine can automatically disable itself after a certain period of time. You can also set it up so that Amphetamine only kicks on when it notices that a particular app is running, when you're connected to a particular wireleess network, during a set time period (your favourite lunch meeting), or whenever your system's battery life is above a certain threshold (or charging). You can use Amphetamine with hotkeys, you can set it up to allow your screen saver to kick on without putting your system to sleep, and you can even receive notifications at regular intervals during your no-sleep session. The app gives you a ton of options for customising its functionality in all sorts of crazy ways, and we appreciate its thoroughness. I use amphetamine on a near-daily basis, and I couldn't be happier to be hooked. 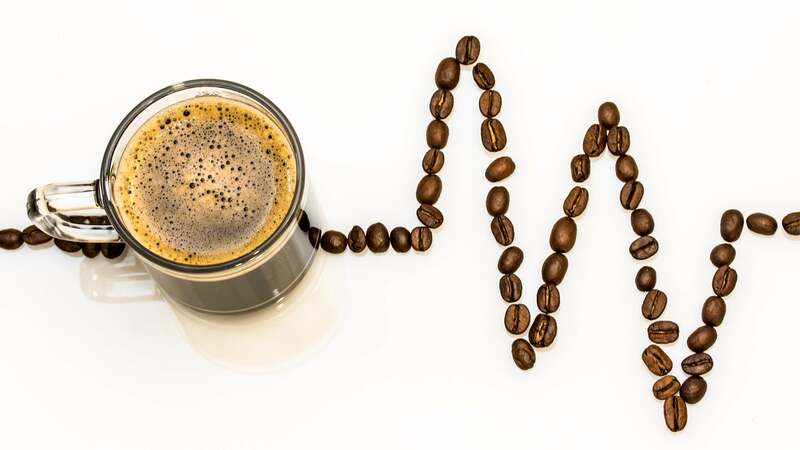 I've been using Caffeine for years, and love it. Amphetamine sounds good, but more than I need right now. Good to see a free Mac app out there though!